2 hours away in north Georgia and on the border of Tennessee, is the Chattahoochee National Forest. Named for the Chattahoochee River that flows through the length of Georgia, the name means marked stone (chato for stone huchi for marked) and was taken from the Cherokee and Creek tribes. 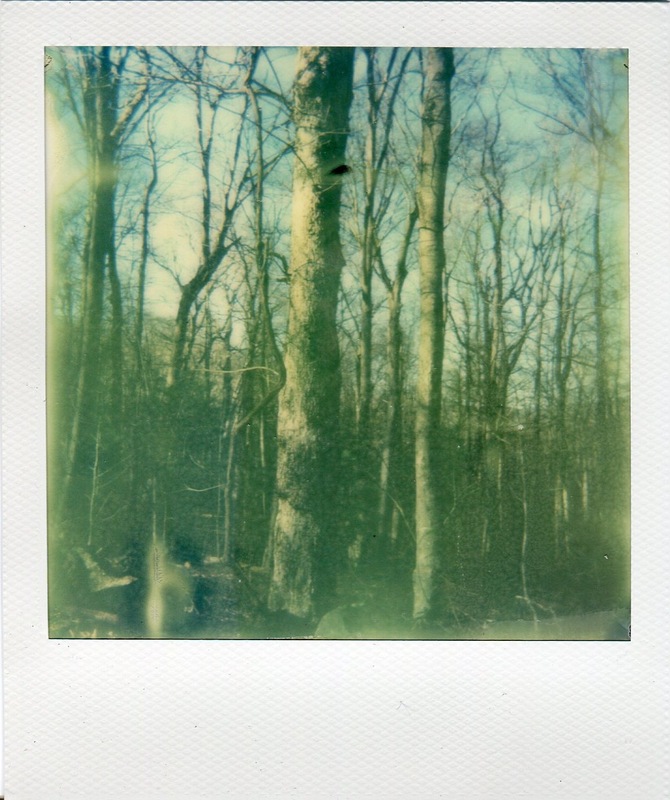 This forest is large with several entering points into the forest, diverse hiking trails, and campgrounds. It is best to look up specific directions to the parking lot for your specific trail. Signage within the park is not great and parking lots for certain trails are hidden deep within the mountains. This is the perfect place for a day trip, since it’s close enough to return home at night. Weather in Georgia does get pretty cold in the winter, but the weather was mild during my hiking trip in January. I prefer the colder weather, because I’m afraid of bugs too! I chose an easy path, since I’m not an avid hiker, and enjoyed the walk through the forest and crossing small streams. Pick a longer path and pack a lunch in your backpack during your day trip! Chattanooga, TN is only 2 hours from Atlanta because it sits close to the border of Tennessee and Georgia. I decided to play hookey from my responsibilities on a Friday, and made the drive up with a friend. While there is plenty to do in Chattanooga, I really wanted to see Ruby Falls after I saw it on a top 10 list of the most incredible cave waterfalls in the world. Ruby Falls has a cheesy, middle school field-trip vibe these days with the movies they play about the discovery of the falls and the music when you reach the falls. If you can get past that, it’s really a spectacular show of nature. Most of the tour is spent wandering through Lookout Mountain, which holds the waterfall, with its beautiful stalagmites and stalactites. 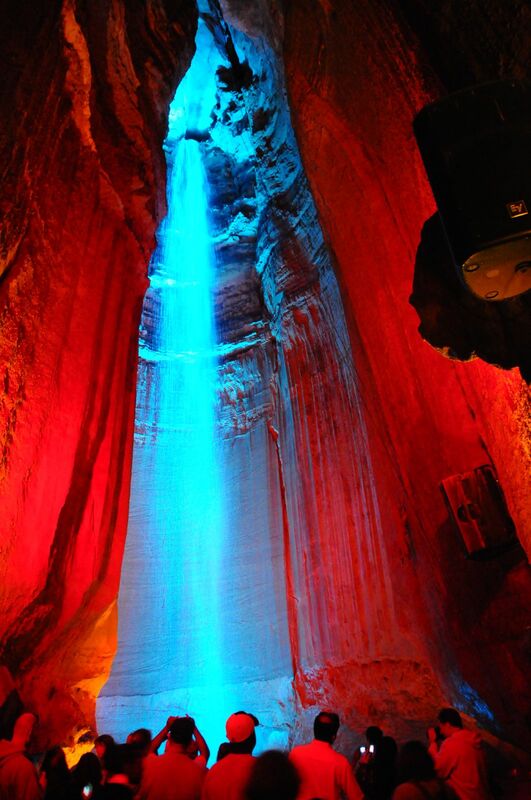 Once you reach the innermost part of the mountain, you reach a large cavern with Ruby Falls. The cavern is completely dark when you enter, and then the lights turn on for a few minutes. That’s when you realize how large the actual waterfall is. Don’t let the commercial vibe from the tour fool you, the source of the waterfall is from the streams and rivers around Lookout Mountain. The only part that is man-made are the speakers blasting cheesy music. View from under the waterfall! Unfortunately, it started raining during our day trip. So we drove into downtown Chattanooga and grabbed some lunch before calling it a day. Tennessee is famous for their “meat and three” meals, so what better way to experience it than at a local watering hole? 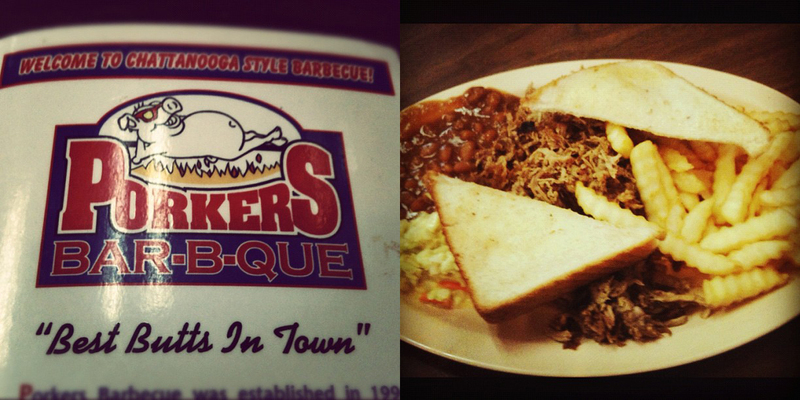 We went straight to Porkers (open all day Mon-Fri, closed on weekends) and grabbed some BBQ. For under $10, including tax and tip, I filled up on some delicious grub. Head to Porkers for some meat and threes with real Chattanooga-style BBQ and support the local economy! If you have more time in Chattanooga, walk down to the waterfront for some ice cream at The Ice Cream Show and stay for dinner at Alleia or Station House. Combine your hiking trip at Chattahoochee National Forest with exploring Chattanooga and stay in a Victorian train car at the Chattanooga Choo Choo for a piece of local and locomotive history. This entry was posted in Do, Explore, Taste and tagged chattahoochee, chattanooga, do, explore, georgia, hiking, nature, taste, tennessee, waterfalls.